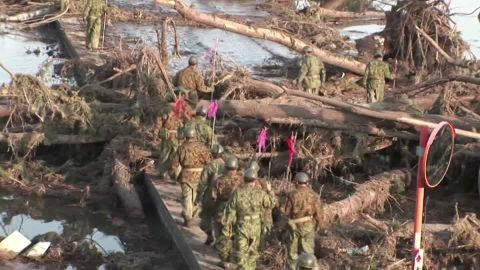 The death toll from floods in Japan in recent days has risen to seven, as rescuers searched for 15 people still missing. Police on Sunday (local time) found the bodies of two men in rice paddies in Joso, the worst-hit city. Earlier in the day they discovered the body of a 68-year-old man inside a submerged car in a flooded rice field in the town of Tochigi, north of Tokyo.